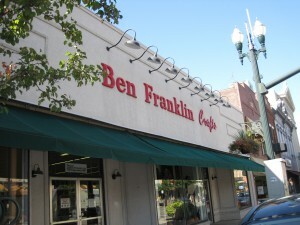 Like many companies in Ohio, the businesses of downtown Bowling Green have been affected by the decline in the world’s economy. Small business owners have had to adapt to the economy’s fluctuations in order to keep their businesses active. According to the U.S. Bureau of Labor Statistics, the Consumer Price Index for all urban consumers in the U.S. increased 0.4 percent in August 2011 on a seasonally adjusted basis. 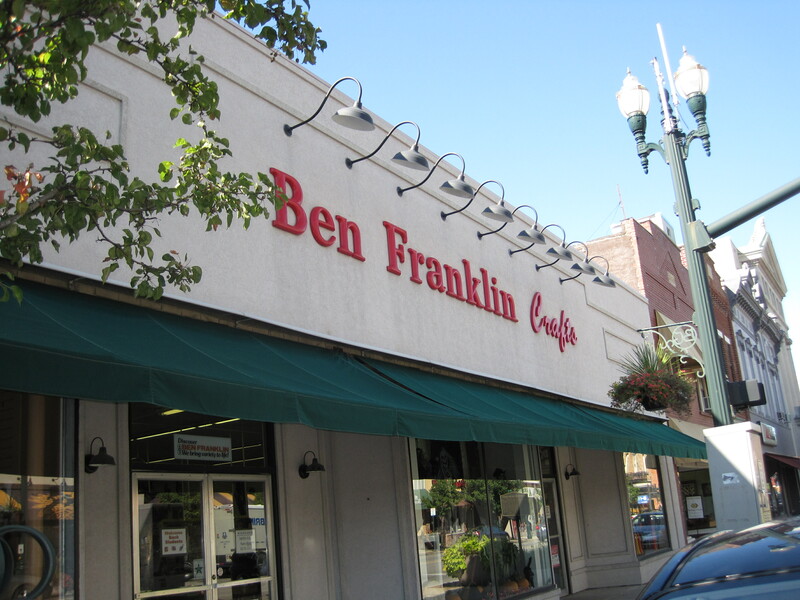 Ben Franklin is an independently owned old-fashioned variety store located in downtown Bowling Green. Craft has had to adjust his scheduling of employees’ hours. The employees who previously worked full-time, now only work one to two days a week. Earlene Kilpatrick, Executive Director of the Bowling Green Chamber of Commerce, said she is seeing some trends in downtown businesses. She said she noticed more cross promoting, partnerships and a push to shop locally whether you are a consumer or a business owner. All of the 181 businesses in downtown Bowling Green are each experiencing different effects from the economy, and some are even unaffected by it. Kelly Wicks, owner of Grounds for Thought, has not had to lay off any employees or decrease hours. Grounds for Thought is an independently owned used bookstore with a large selection of used vinyl records and comic books. Wicks said that the business has been in Bowling Green for 22 years and continues to grow as a company. “If you talk to any real small business owner, you’ll see that it’s not the heavy handed government regulation of burden that’s holding businesses back, it’s customers don’t have any money to spend, and that’s the real problem,” he said. Nancy Lee said the economy was excellent the summer of 2007 when she bought North Grove Carry Out. North Grove Carry Out is a small store that sells beer, cigarettes and other various items. Since 2007, she has noticed some changes in her hometown. The raise in minimum wage has effected Lee’s hiring process and pricing of her merchandise. Not all businesses can survive these tough economic times. Thirty years ago, Nancy Lee’s husband, Doug, started a business called Lee Electric that began to collapse in 2003 in the midst of the struggling economy. Lee Electric installed electricity to residential and commercial buildings. When Lee Electric was at its peak, it installed electricity in about 80 houses per year for about seven years. His problems began when the prices of commodities increased. Banks refused to provide loans home owners to meet what the contractors were charging. Things slowed way down,” Lee said. “You go from a building contractor building 10 houses a year to one.” Lee has had to give up the majority of his business and is currently contracting for Lee Electric, along with working for the county as an electrical coordinator. According to the U.S. Small Business Administration, in 2009 about 552,600 new employer firms opened for business in the U.S. and 660,900 firms closed. The B.L.D.G, a retro clothing store and recording studio lounge, as well as Mezmorize, a store that’s main focus was selling cigars, cigarettes and tobacco, have recently closed. Two stores that have recently opened are Mosaic and Dada. Squeakers has recently been sold to a new owner. This entry was posted on Thursday, October 6th, 2011 at 1:34 am	and is filed under Local stories. You can follow any responses to this entry through the RSS 2.0 feed. Both comments and pings are currently closed.